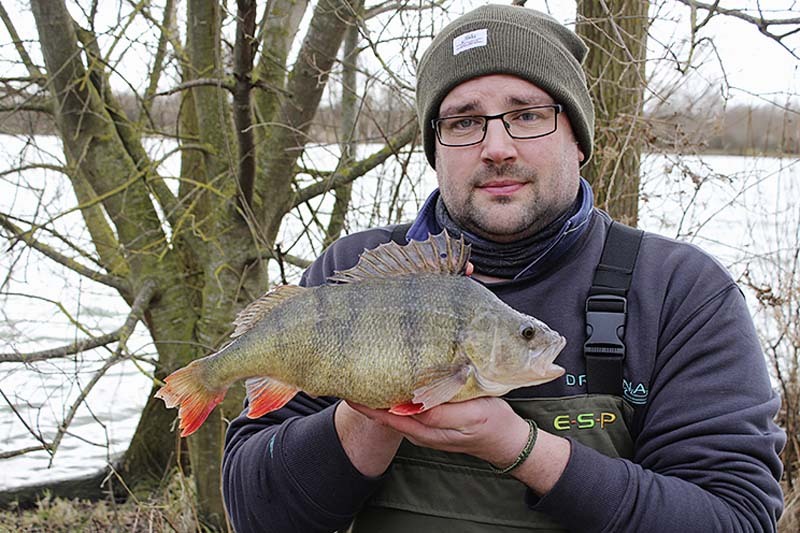 huge perch banked as stillwaters take over! The capture of two 5lb-plus perch and a host of other specimens shows that despite the closed season there’s still a chance of netting a pb stripey. In a manic week for the species, stillwaters, reservoirs and canals have revealed that they are just as prolific as rivers for a perch of a lifetime. Michael Barnshaw was the first to enjoy stillwater perch success with this fin-perfect 5lb specimen (right). Targeting a pit in the South West, the Surrey rod baited a near-bank swim with groundbait laced with maggots, soil and worms and fished a small tail-hooked perch livebait over the top. Michael’s terminal tackle consisted of 6lb mainline to a 6lb Drennan fluorocarbon hooklink and a size 6 Drennan Wide Gape hook. Fox Rage-backed lure fanatic Kevin Cox was next on the scoresheet with a 5lb 1oz fish. Targeting a hard southern reservoir in the company of his friend Matt French, Swindon rod Kev racked up no fewer than four perch over 4lb using by drop shotting with Spikey Shad, bloodworm imitations and pintail lures. “I was first to strike with a fish of 4lb 1oz, then Matt had four smaller ones up to 2lb,” Kev said. Oxfordshire complex Linear Fisheries might be better known for its prolific carp fishing, but Darren Clarke has been enjoying some fantastic sport from perch of late. 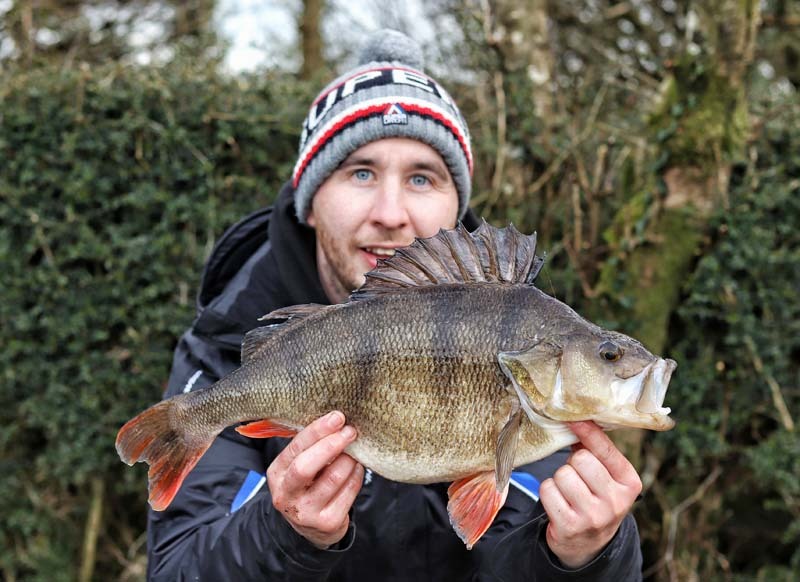 The tackle shop manager from Cheshire targeted Brasenose Two during a recent trip and succeeded in slipping the net under a pair of perch weighing 3lb 3oz and 3lb 7oz. “I’d actually gone down to target the roach at night but I switched to targeting the perch during the day using lobworm hookbaits and 50g maggot feeders,” he said.